Tuition is charged on a monthly basis and due on the first day of each month. A late fee will be assessed if tuition is received after the 10th of the month. Tuition is charged based on the space and time reserved, as opposed to the actual time attended. There are no refunds for tuition or portions unused due to the withdrawal of a child. Parent helper discounts are given to parents who sign up for a regularly scheduled time to assist in the preschool room. The required number of hours is dependent upon your child’s schedule. Active members of Trinity Heights United Methodist Church are eligible for a $50.00 discount on their rate. 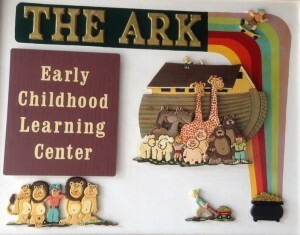 The ARK has two infant rooms: 6 weeks to 9 months or crawling and 9 months to 15 months or walking. Infants must be immunized and parents must provide diapers, formula or milk, and other necessities. A non-refundable fee of $300.00 along with the $100.00 registration fee is required to hold a spot in the infant room. The $300.00 non-refundable fee will secure a spot in the infant room or will place your name on a waiting list for the next available opening. The $300.00 will be applied to the 7th month tuition. If your child does not attend the ARK within two weeks of the anticipated start date, the $300.00 fee and the spot will be forfeited. Additional Half-Day Daily Rate for all ages is $30.00. Toddlers, children ages one and two, must be able to walk, drink from a cup, and eat finger foods. Children must be three or four by September 1st and completely potty trained. Additional Day Daily Rate for all ages, $48.00.